ConsDo not use the silver contector. and yes I am a verified buyer. I just purchased this last week. I cant believe Autogeek allowed this to be sold. 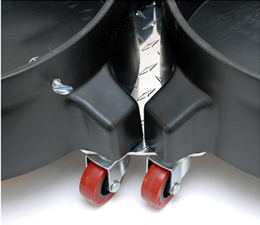 Merchant Response:Hi Mike, We've checked with the manufacturer and they have confirmed that the Grit Guard Inserts DO NOT have to sit flush at the bottom of the bucket to be effective. 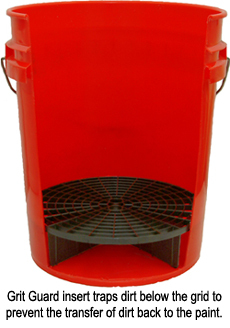 Even if they're a few inches from the bottom, they still prevent dirt and debris from circulating back up to the top of the bucket. ConsI would not recommend this purchase until the buckets are changed out to the correct ones that properly fit the grit guard. More like 3.5 stars, but bumped it up for customer service. Buckets and grit guard are great. The castors leave something to be desired. 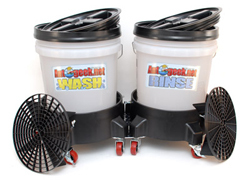 I wash my car on a slight incline and after the buckets are full they continue to roll despite locking the castors that are arranged across from each other.